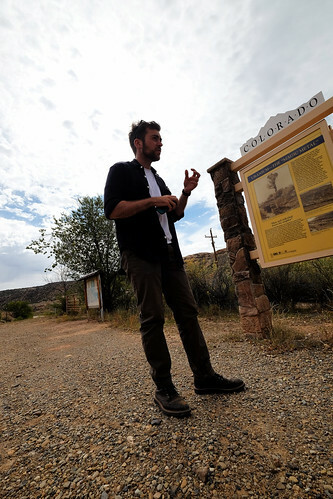 In October 2016 I was asked by journalist Ben Mauk to accompany him to visit uranium mines and historical mining sites on the Western Slope of Colorado for an article that he was writing for Harper’s Magazine. 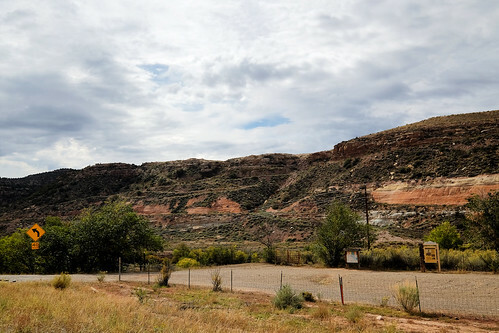 I flew out to meet him in southwestern Colorado and we spent a couple of days enjoying some wonderful weather and breathtaking scenery while traveling from mine to mine across the mesas. Ben is a very intelligent and observant writer who must have been a boy scout when he was younger because he is always prepared. His small Moleskin notebook only leaves his pocket when it is in his hands and he is writing it. You can find some of his work on his website. 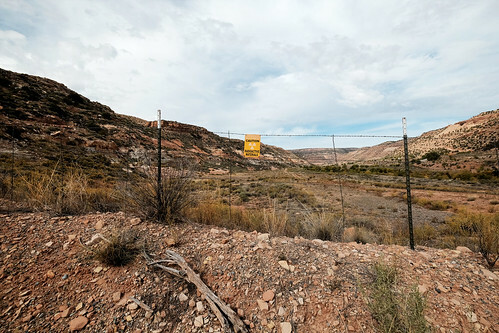 The Western Slope of the Colorado Plateau is peppered with uranium mines, most of them abandoned. These mines aren’t too difficult to spot and many of them are close to the roads that wind through the valleys. 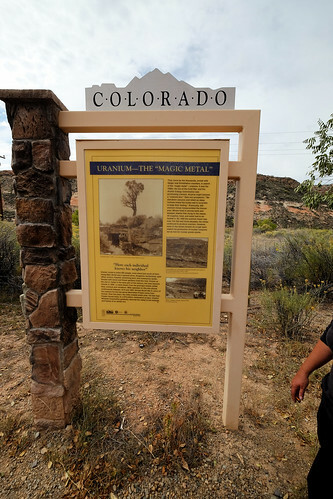 Uranium and radium mining in Colorado dates back to the early 1900s. 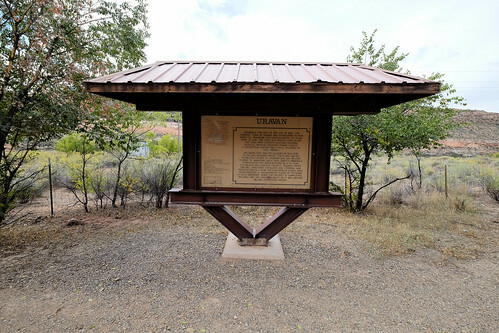 The Uravan mineral belt is the oldest uranium mining area in the United States and is home to over 1,200 historic mines that largely operated between 1948 and 1978. 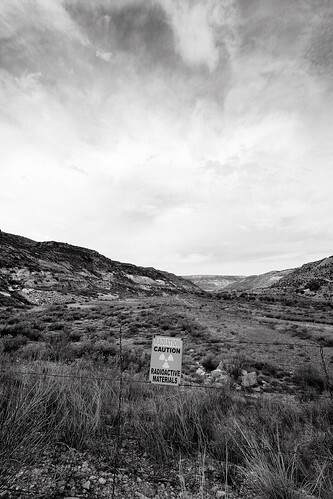 By 2005 only four mines in Western Colorado were still producing uranium, all of them operated by Cotter Corporation. In 1912 the U.S. Bureau of Mines made a survey of the carnotite fields in Utah and Colorado and deemed them the largest source of radium-bearing ores in the world. Marie Curie even came to Colorado to inspect their Carnotite in 1921. 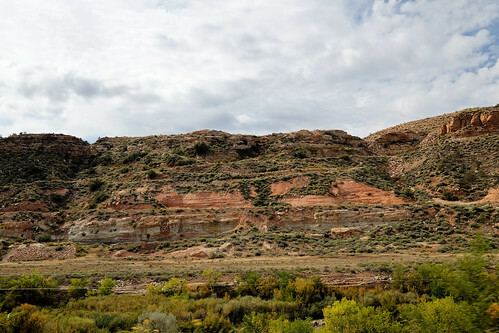 The Carnotite in Colorado was discovered by miners looking for gold and silver who were not interested in this mineral. 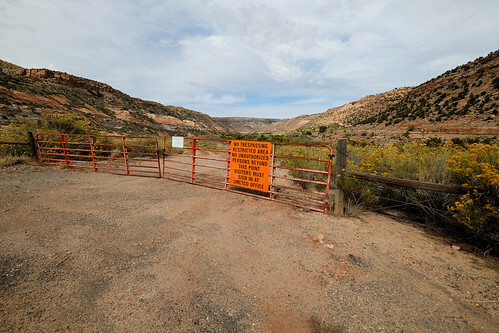 The first uranium discovered near Uravan was by the Talbert Brothers of Paradox, the small town where I tend to stay when visiting the western slope. 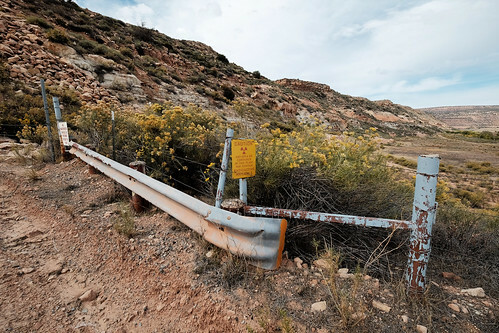 Uravan is one of the more prominent abandoned uranium mining and milling towns because the small city was completely destroyed because of radioactive contamination when the site was remediated. The name Uravan originates from a combination of the words uranium and vanadium and was selected as result of a contest sponsored by U.S. Vanadium. The city was closed in 1986 as part of a cleanup negotiation and UMETCO razed the buildings and removed contaminated soils. There are still several elevated areas that can be found however. 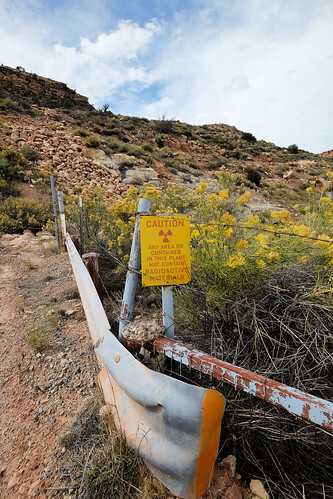 Uranium mining began becoming popular in the early 1900s during the height of the radium craze and as uranium and vanadium were tested as steel additives. On average, in every 17 tons of Carnotite ore you will find 1 gram of radium, over 6,600 pounds of uranium and over 6,600 pounds of vanadium. Between 1898 and 1928 the U.S. Bureau of Mines estimated that over 250 grams of radium had been produced in the United States with “practically all of the carnotite ore” mined from the Uravan Mineral Belt. The 250 grams of radium produced approximately represents over 45,000 of produced ore.
At the peak of the radium craze the price of radium sold for over $125,000 per gram. Between 1913 and 1922 approximately 182 grams of radium were produced in the United States, largely in the Uravan Mineral Belt, compared to only 3 grams that were imported. Though radium was the initial valuable element in Carnotite ore, it was the uranium and vanadium content that would support mining through most of the 20th century. Joseph M. Flannery was the founder of the Standard Chemical Company and his desire to produce radium stemmed from the fact that his sister had died of cancer a year or two before and Flannery had mistakenly thought that radium treatment could’ve saved her life. In 1912 Joe Flannery built the Joe Jr. Mill on the banks of the San Miguel River in what would later become Uravan. The mill produced a concentrated radium slime using an acid leach process with sulfuric acid to extract the radium from the vanadium and uranium in the ore. Limestone would be used to neutralize the concentrate liquid in order to precipitate the radium and other metals. The dried radium precipitate would be transported by horse-drawn wagons over 65-miles to be loaded onto train cars and sent to Pennsylvania for even more refining by means of concentration and purification. The milling operations in Colorado and Pennsylvania quickly established the Standard Chemical Company as the largest producer of radium in the United States. Radium was used for quack medical applications and luminous paint that was used in watches, compasses, airplane dials and other consumer products. The Joe Jr. Mill was in operation between 1912 and 1923 until the radium market was flooded with high-grade radium ore from the Shinkolobwe Mine in the Belgian Congo brought the price of radium crashing down to under $70,000 a gram. The mill was shut down between 1923 and 1935. One of the oldest documents still available about the Joe Jr. Mill is the 1918 annual report. The report yields many interesting facts, including that operations in Uravan were able to reduce 73% of the volume of the ore while still retaining nearly 80% of the uranium content before shipping it to Pennsylvania. In 1928 U.S. Vanadium (USV), a subsidiary of Union Carbide and Carbon Corporation, purchased the radium mining and milling operations in Uravan from Standard Chemical. USV expanded operations at Uravan by constructing a processing mill on the mesa above the town that used a salt roasting-water leached method of producing a red cake precipitate that they extracted vanadium from. In 1938 Uravan started producing uranium for the United States Government who was getting ready to enter World War II. 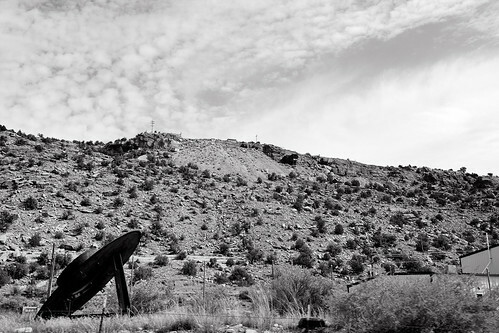 The Manhattan Engineer District contracted USV to prepare a new mill called WSP on the north side of the San Miguel River to process the mill tailings from the hillside mill that were piling up around the city and other radium and vanadium mines in the area to selectively retrieve the uranium content. 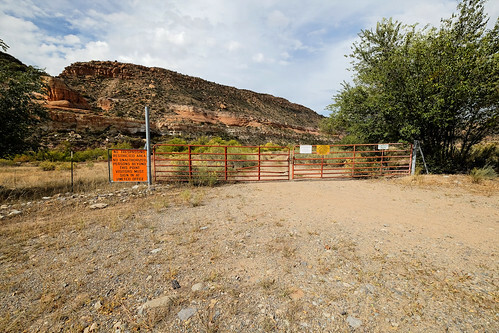 The WAA mill was completed in 1944 on the south side of the San Miguel River to also recover uranium from tailings. Small amounts of the uranium produced in Colorado was used in the atomic weapons that were dropped on Japan in 1945. Both the WSP and WAA mills were dismantled after the war and the USV hillside mill was shut down between 1945 and 1949.